The name itself caught your attention, didn't it? I totally get it, it caught mine! It is such a treat... but a healthy and nutritious treat! 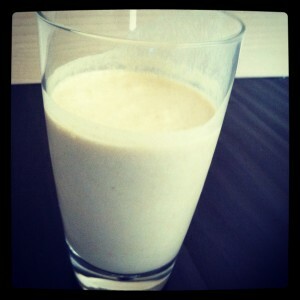 This protein shake is perfect following a workout, so get working and then shake it up! Yield: 1 serving, after your workout only!